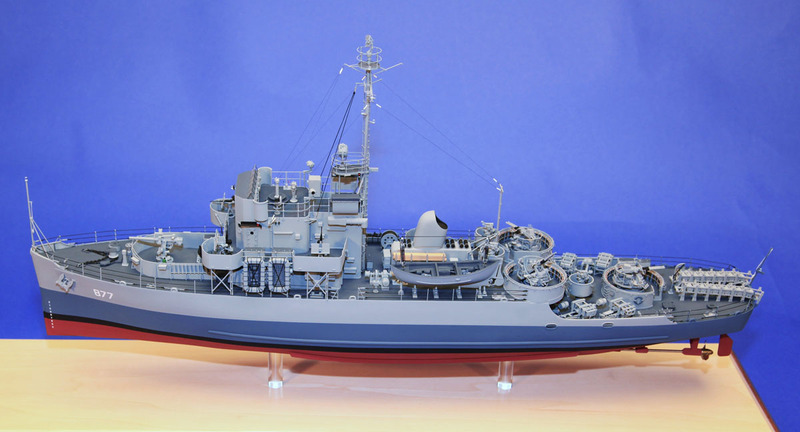 USS PCE-877 saw considerable action after commissioining in the Pacific Theater of Operations. 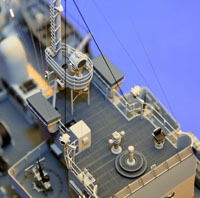 The 877 earned tw Battle Stars for operations at IWO JIMA, and OKINAWA. 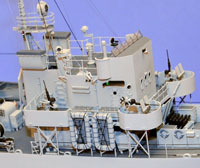 The 877 was used for close in communications and fired support missions. The 877 was presentat the surrender ceremonies in TOKYO BAY. 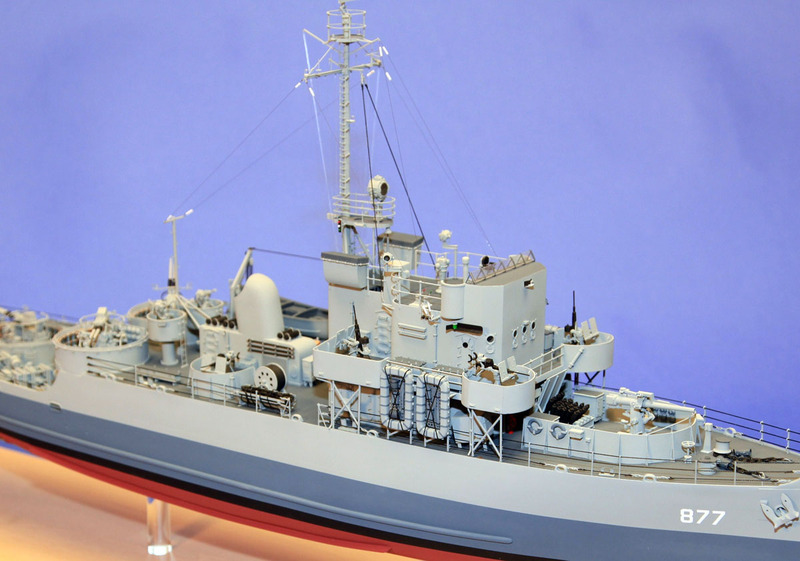 Post-war the 877 was attached to Amphibious Control Squadron 2 engaged in the North Atlantic, Chesapeake Bay and the Caribbezn. 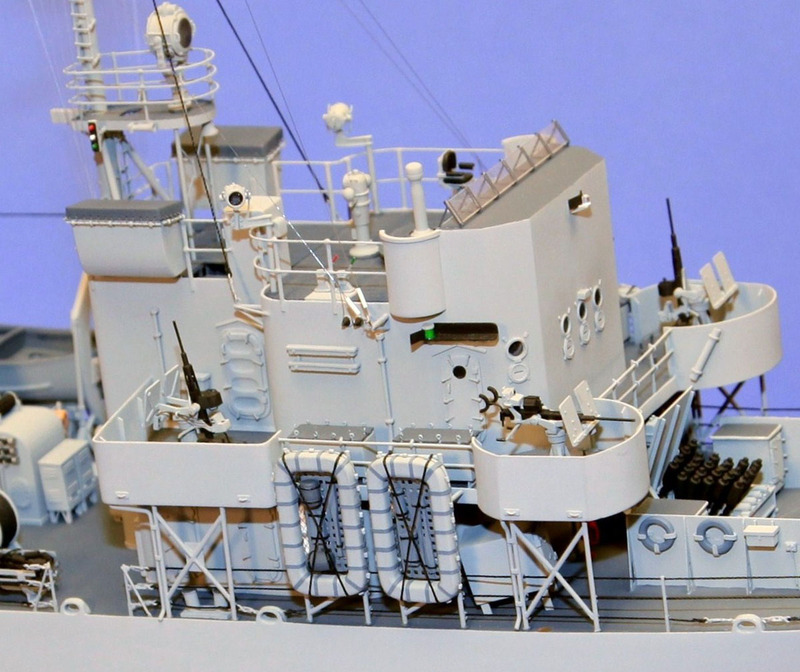 the model of the PCE-877 is scratch built in 1/96 scale and represents her configuration during the OKINAWA campaign. 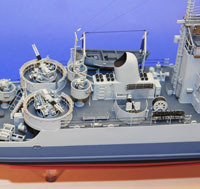 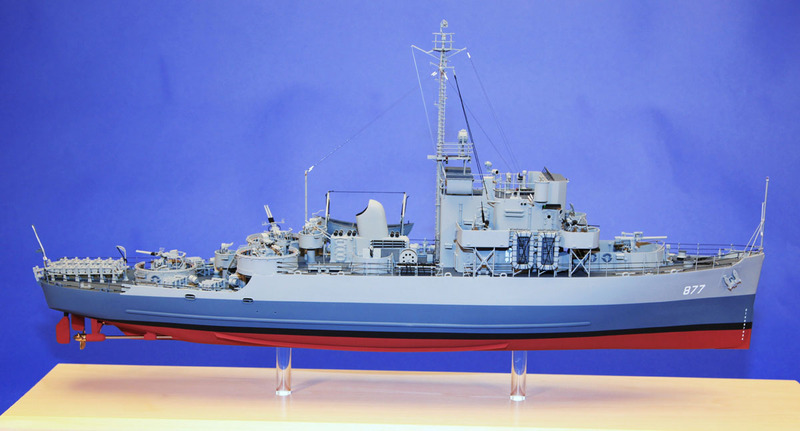 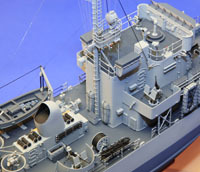 She is camoflauged in Measure 22, using White Ensign Models Colour Coats paints Navy Blue 5-N for teh decks, Sea Blue (5-S) for the hull, and Haze gray 5-H for the vertical surfaces above the blue hull band and superstructure. 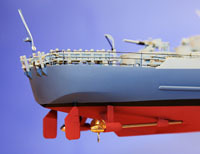 Norfolk Anti-Fouling Red 65A was used for the hull bottom. 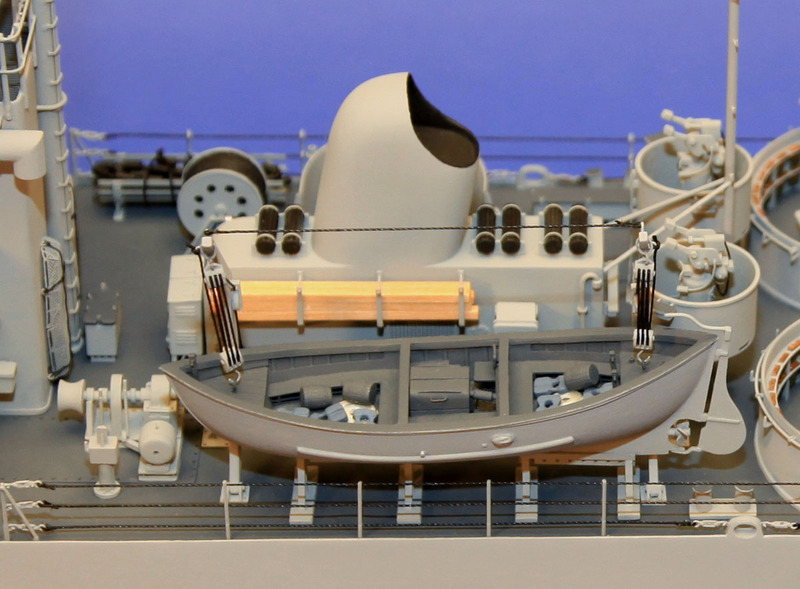 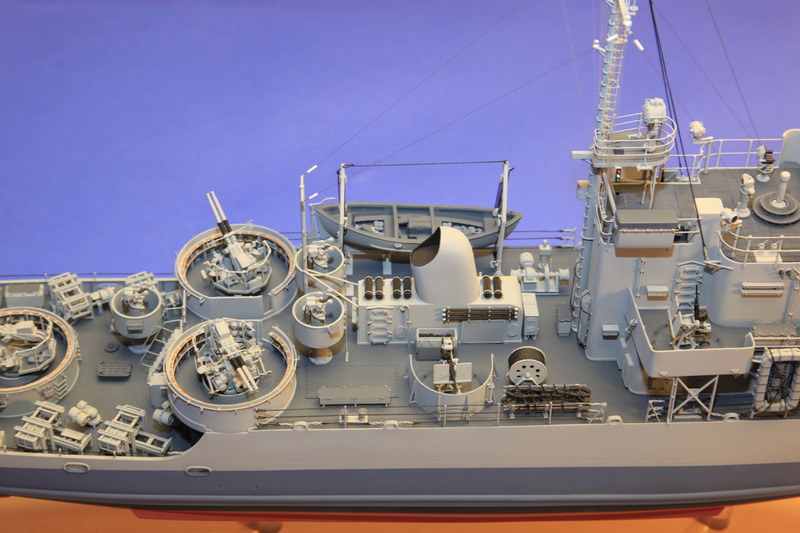 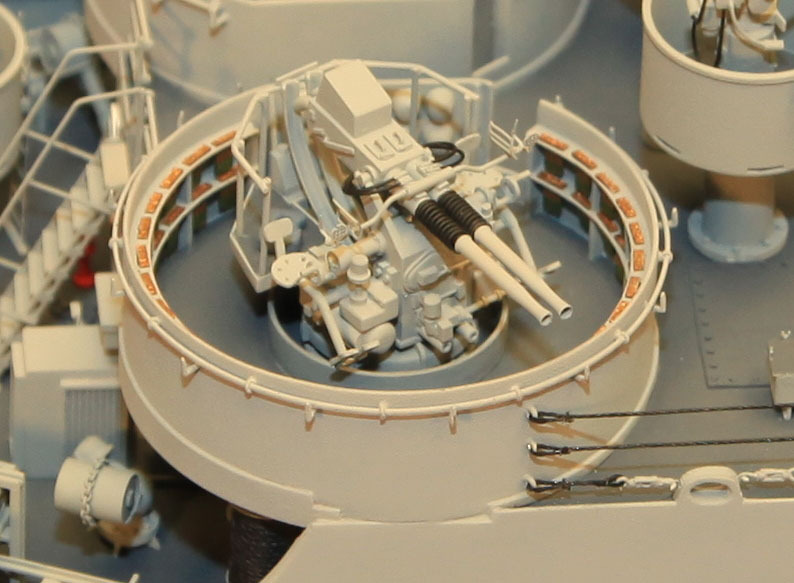 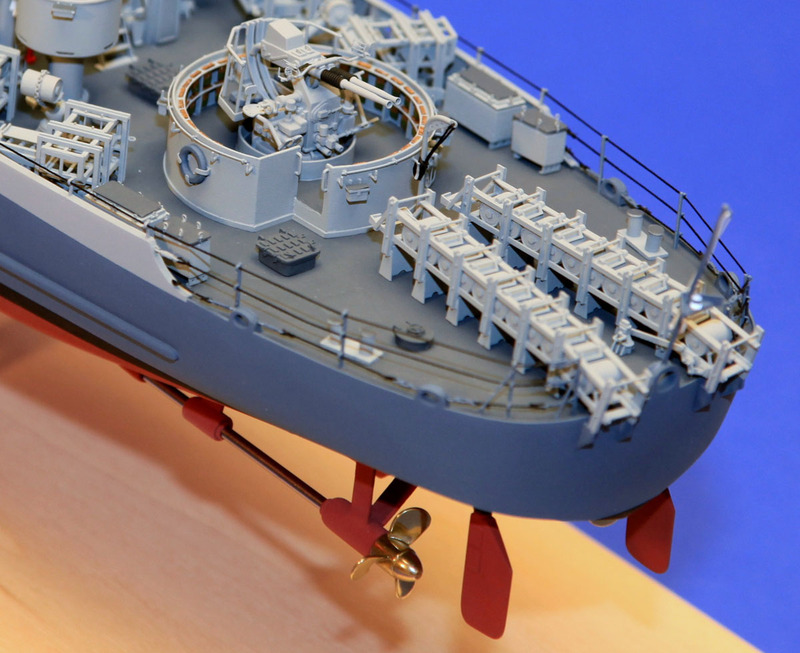 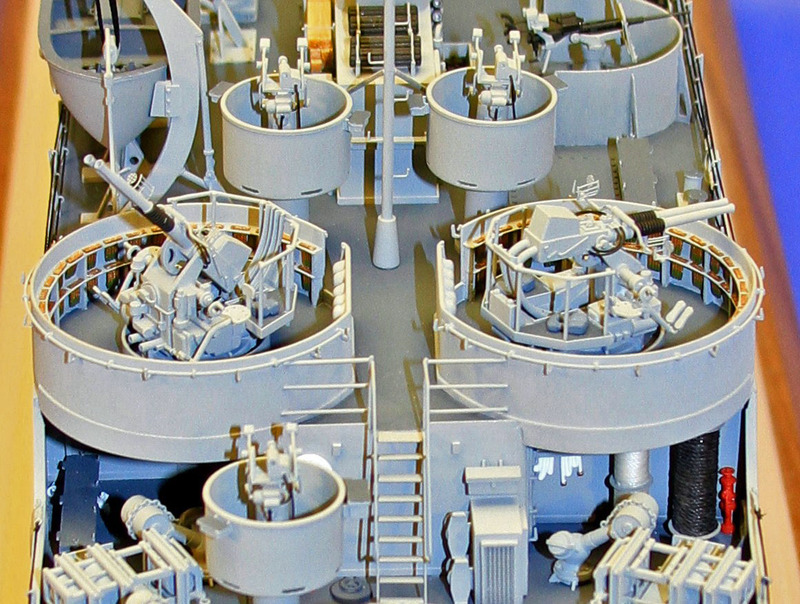 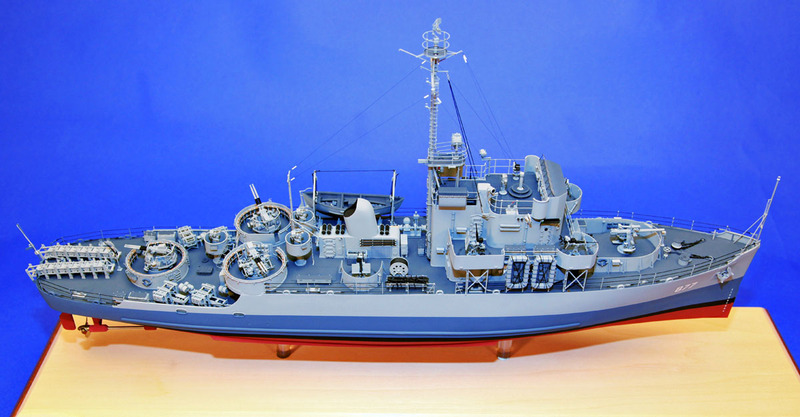 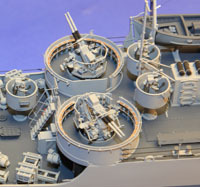 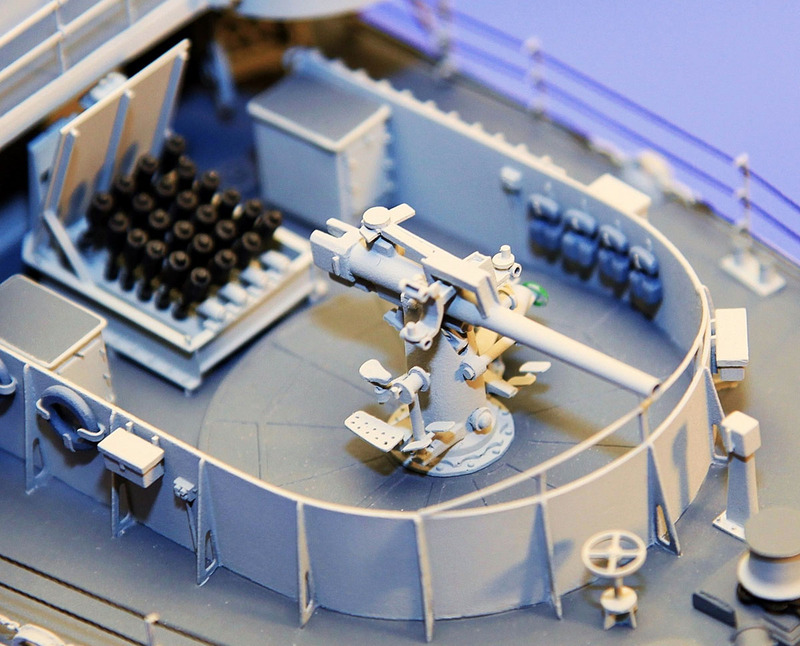 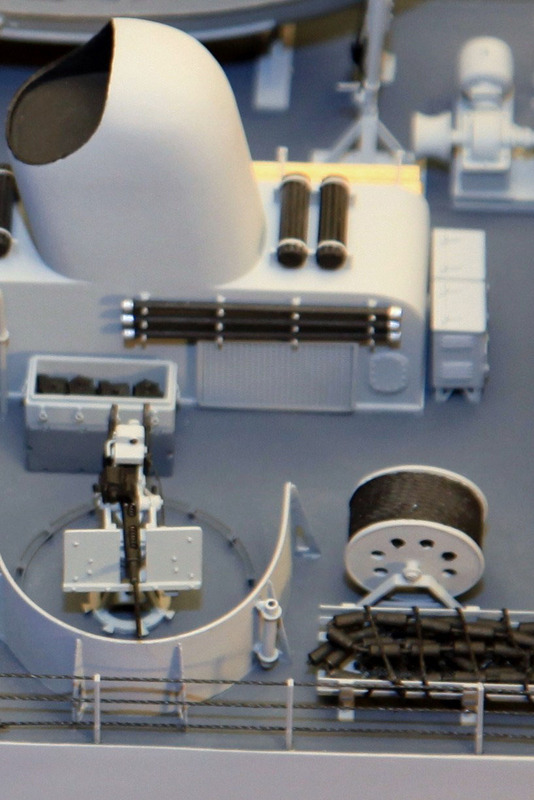 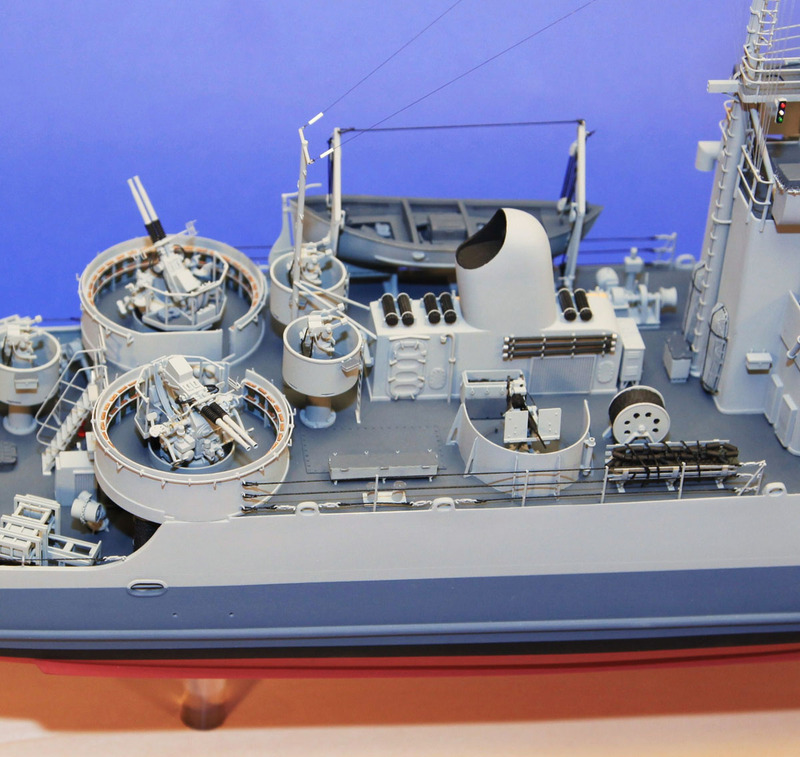 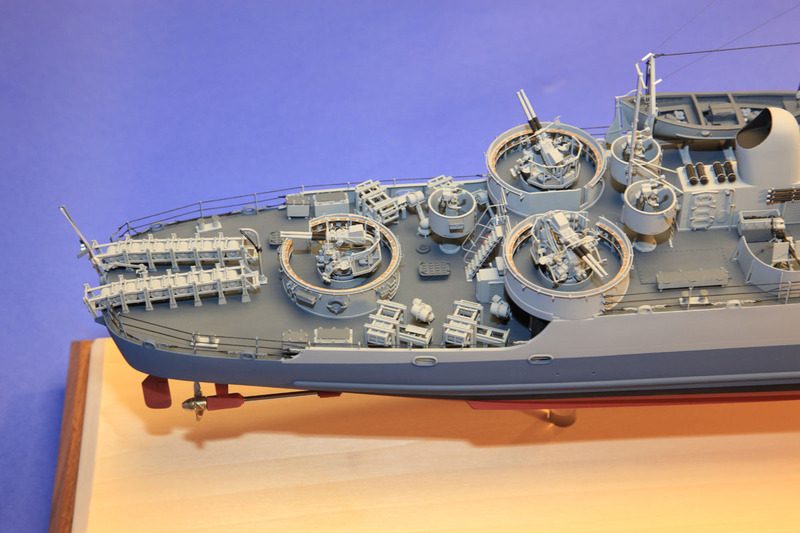 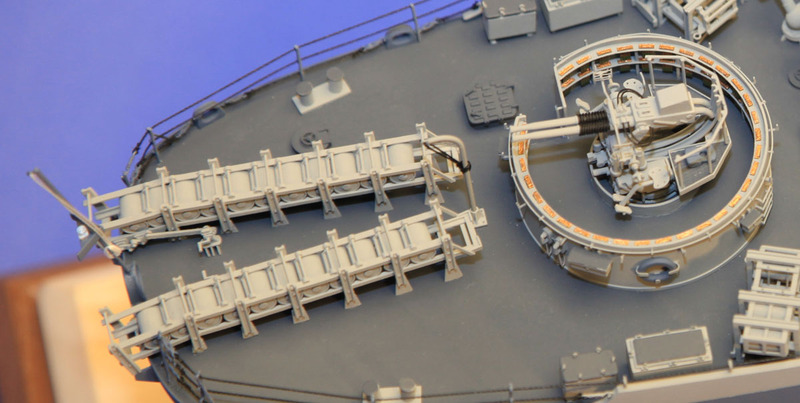 Propellers were from Raboesch, 40 mm barrels from B & D barrels, 40 mm gun sights and stoke litters from Masterpieces in Miniature, and blocks from Blue Jacket Shipcrafters. 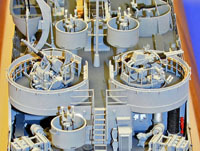 Extensive use of photo-etch technology was used in tthe construction. 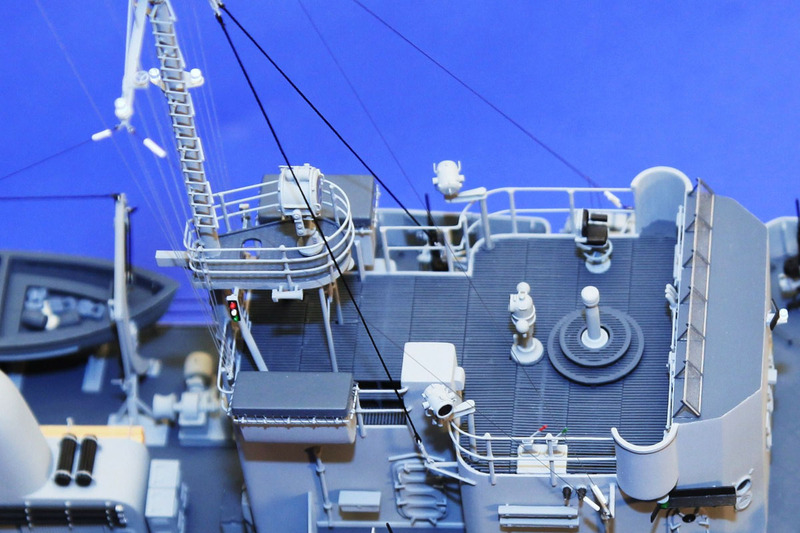 I drew up the artwork and set it to a company named Foto-cut. 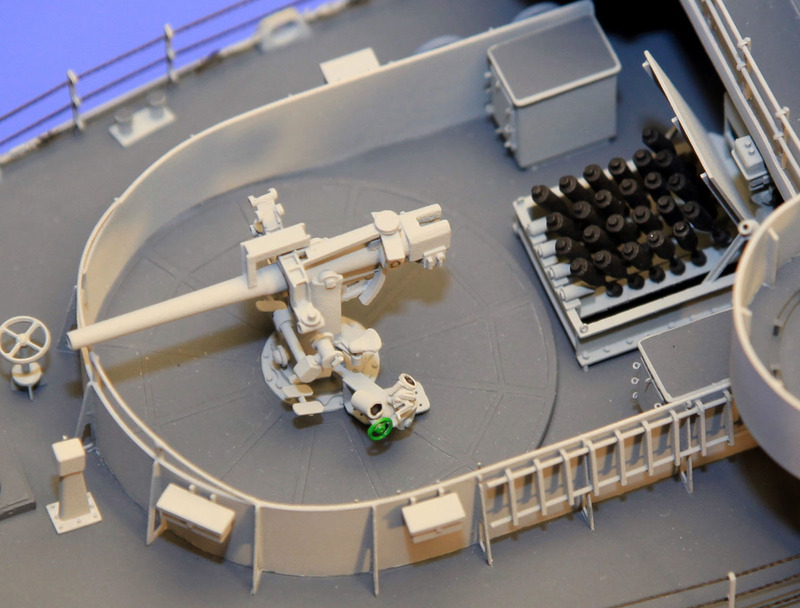 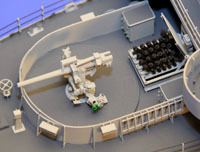 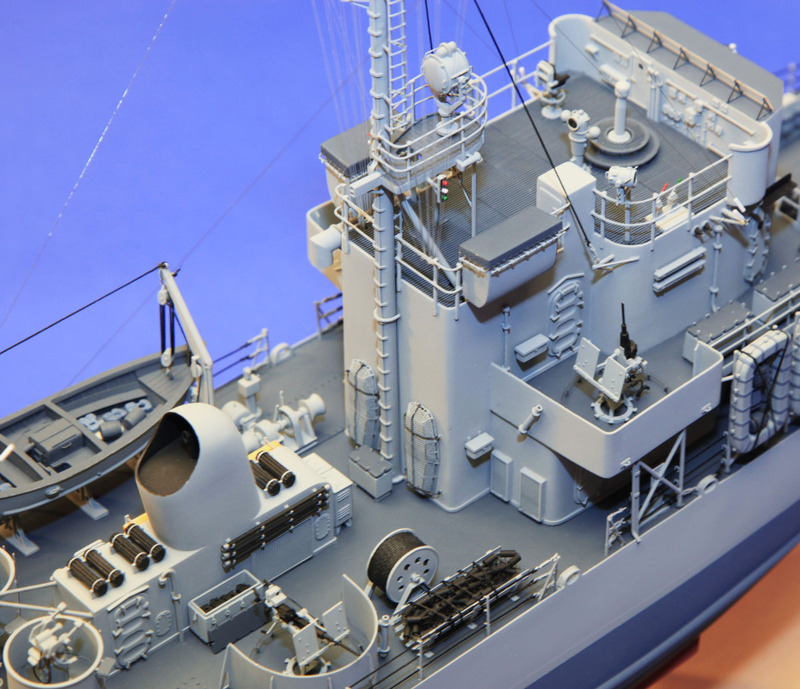 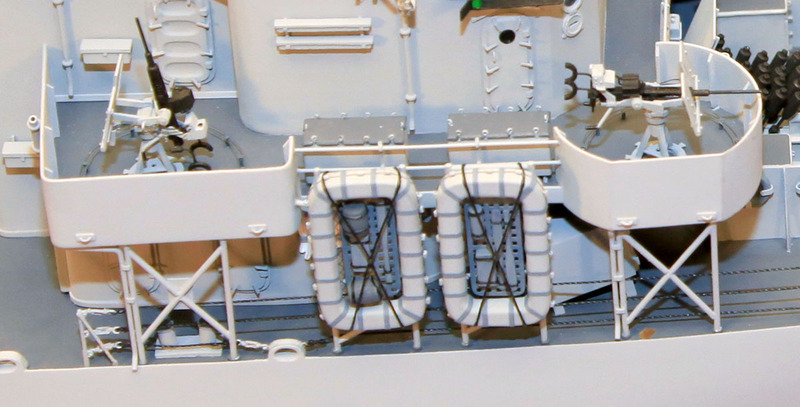 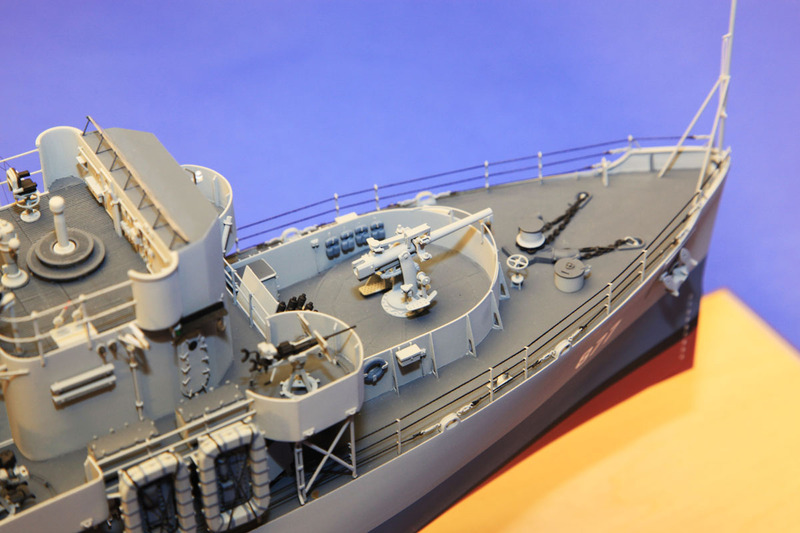 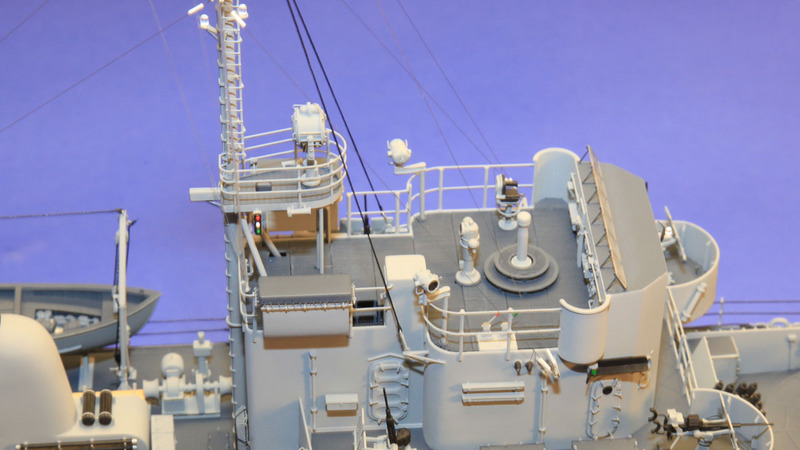 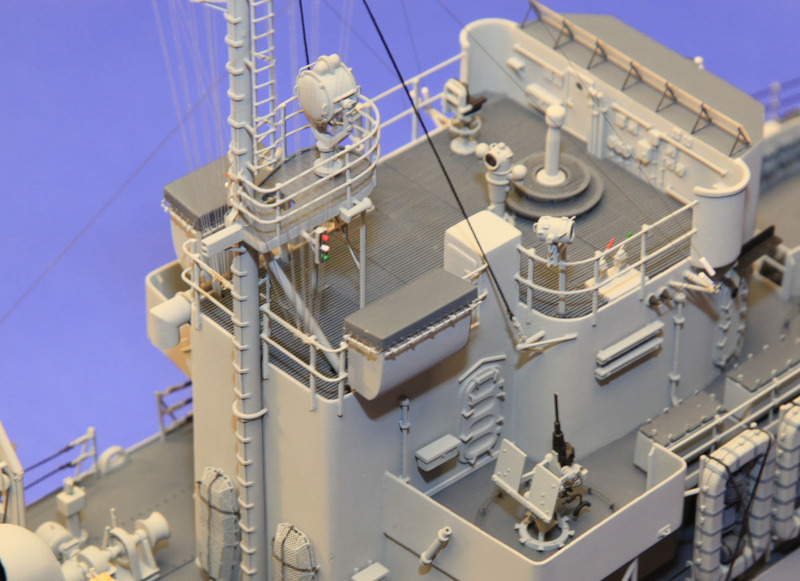 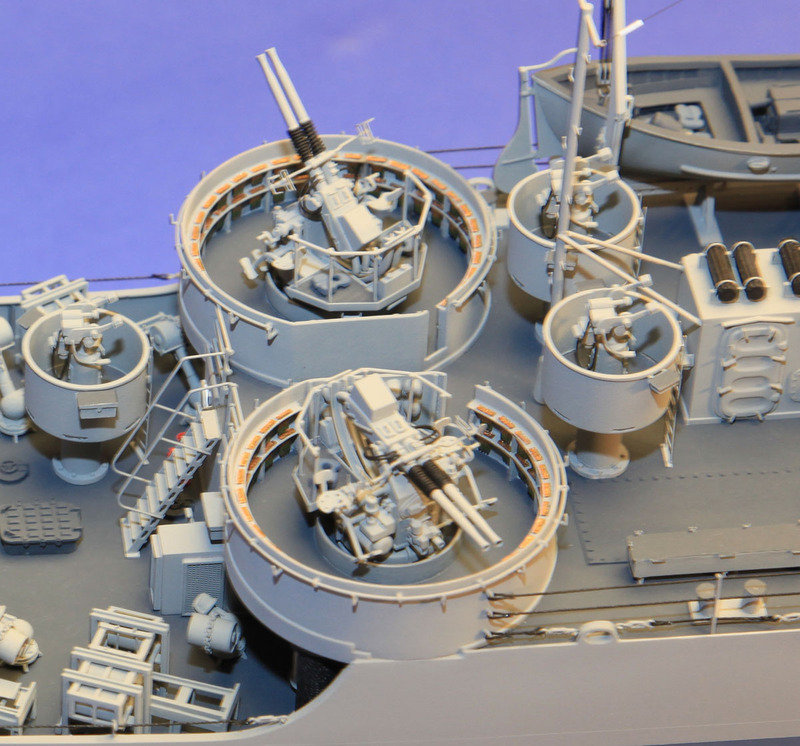 Items made in this manner include the 40 mm ammo rings, door and hatch handles, radar, eye botls, bridge gratings, inclined ladders, window bracing for the open bridge, 20 mm guide braces, life raft floors, and bracing and floor detail for the 3" gun tub. 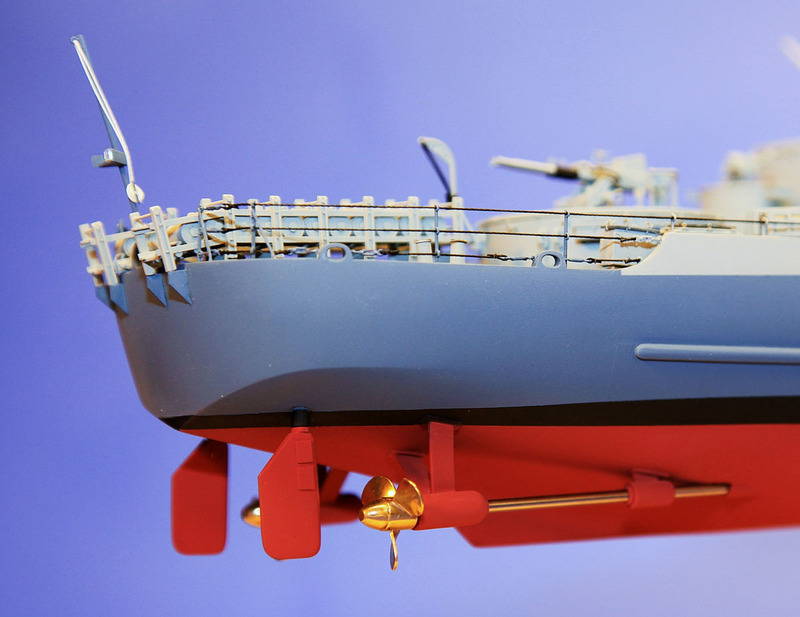 I used Micro Mark two part rubber molds to cast an extensive list of parts in their fast setting resin, including hull, superstructure and manner other parts. 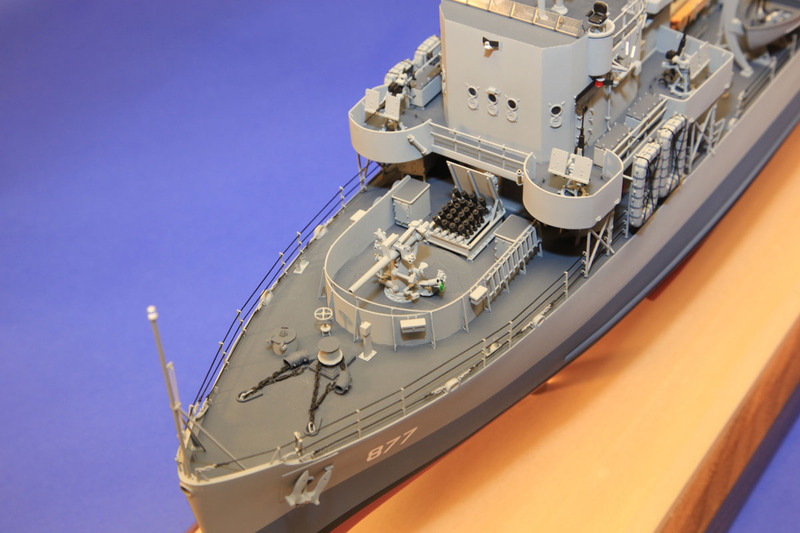 Construction time was 2000 hours over 30 months. 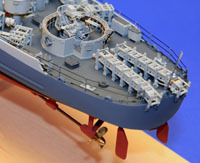 This page viewed 320 times. Thanks for stopping by!